When walking into a drugstore, you are surrounded by an abundance of medicines. Have you ever taken the time to think of how these medicines were created and are produced ? Herbal medicine is a dynamic phenomenon which is constantly evolving with the additional knowledge that has been acquired over the centuries. Ecuador is known to have over 500 different species of medicinal plants. About 228 of the most common plants are endangered. Along the border regions of Ecuador and Peru we find one of the most biologically diverse regions in the world. In Southern Ecuador there are 215 plants registered that have medicinal properties. Some species could be used for various medical conditions. About 125 of the endangered medicinal plants are the most popular and the most commercially successful pulverized extract products and essential oils. Cat's Claw, Cascarilla, Inchi, Walnut, Cinnamon, Dragon Blood, Zaragotana, Balsam and Laurel are some of the examples of Ecuador's essential plants. The best known plants in the naturist medicine world as such plants as Chuchuhuasu, Yahuaticaspi, Leche de Oje, Sangre de Drago, Una de Gato, Cebolla del Monte, Guayusa, Liana de ajo, Chiriguayusa and Hierba Luisa. Taking a look back into history the discovery of plants for medicinal purposes was by trial and error – ancient people started using specific plants for aches and pains. The knowledge of these plants grew over the centuries within the different cultures, and the knowledge of herbal medicines has been transferred down from one generation to the next by the shamans, traditional healers, or curanderos. Curandero (or Curandera for females) are traditional folk healers or shamans in Latin America dedicated to curing physical or spiritual illnesses. The Role of a curandero (a) can also incorporate the roles of psychiatrist along with that of doctor and healer. Many curanderos (as) use Catholic elements, such as holy water and pictures of saints. The use of Catholic prayers and other borrowings are often found alongside native religious elements. Most of the treatments are performed in the homes of the healer, where the healers have their "mesas" or "healing alters" set up. In Southern Ecuador a Western alter that is without many power objects is used. 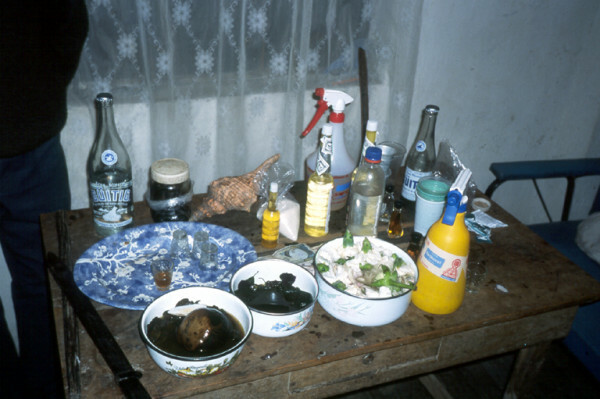 Until the constitutional change in 1998, traditional healing was illegal in Ecuador. Traditional cures are sometimes performed outdoors, close to waterfalls, special ceremonial sites or sacred lagoons. 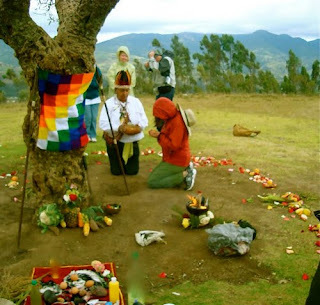 Curing ceremonies involve purification of the patient, the patient is cleansed by spraying them with holy water that contain perfumes and or baths – banos de florecimiento (Spiritual Flowerings) which are important components of the healing tradition. The cleansing of the patient could also involve a nasal ingestion of tobacco juice and perfumes and also extracts of Jimson weed. The oje latex is a popular floral garden tree present in our garden. It is widely used as medicine for rheumatic problems. The oje latex is rubbed onto the rheumatic inflammations and it will ease the pain and discomfort. When the bark of a Ficus Inspidida is cut, a white milky liquid wells. This liquid is called leche de oje and is used by the Quichua people for medicines. It is used against all kinds of intestinal parasites such as worms, parasites, amoebas and bacteria. The milky liquid or latex can be taken with water, or pure. One can also drink one cup freshly mixed with orange juice and sugar. The leaves of the Ficus can also be used as a substitute for plasters on fractures or bandages. 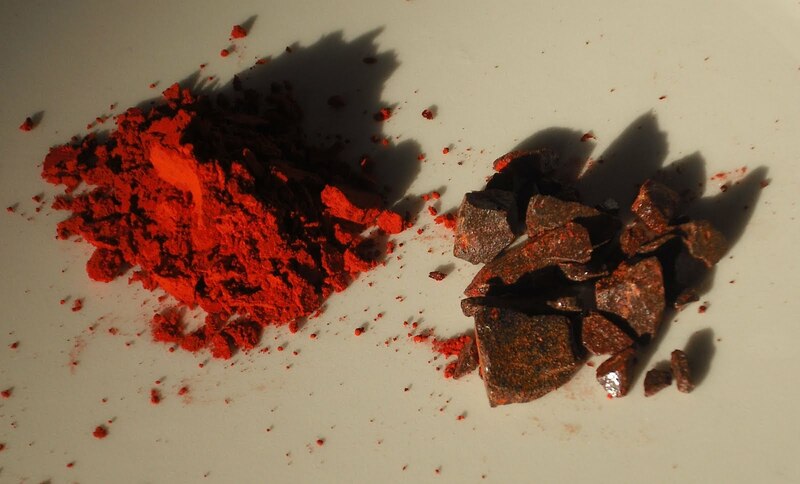 Chuchuhuasi is commonly used in the treatments of bronchitis, rheumatism, fever, stomach ache and tuberculosis. The Quijos Quichua Indians which live in the lowland rainforest of eastern Ecuador, use a mixture of chuchuhuasi for aching muscles, rheumatism, menstrual aches, general aching, and stomach aches. The Indigenous of the Amazon use chuchuhuasi as a stimulant. Chewing the chuchuhuasi bark is an effective treatment for upset stomach, diarrhea, menstrual irregularities and arthritis. Chuchuhuasi is also used to help rejuvenate the system and revitalise nervous tissues. The raw bark can also be used without liquid or any preparation to feel stronger and to also generally improve a person's physical condition. 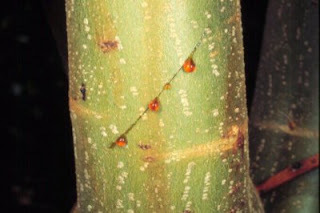 The chuchuhuasi tree is relatively easy to recognize in the rainforest of the Amazon, as they have yellow bark and never grow straight like other species. This tree always looks a little gnarled and sits crooked. The truck shows many hollows where nocturnal animals find their shelter during the day. The leaves, roots and bark are well known ethno medicine and are used for traditional uses. The roots are reduced to small pieces and used for medicine. A piece of bark is cooked in water or inlayed in alcohol, with these methods you can extract the chemical substance tannin, which gives the liquid a red colour. As the bark is extremely bitter it is also often mixed with bee honey. The infusion is used for kidney and or bladder problems and muscle pain. The medicine is taken three times a day until the symptoms no longer exist. Yahualicaspi is a tree that reaches 2 – 5 meters in height and has yellow fruit that is edible. The medicinal usage for this tree is of the it's leaves, roots and bark. Each Indigenous Tribe of the Amazon Region knows and uses it against headaches, toothaches, colds, tuberculosis, stomach aces, sore throat, colic. The useful parts of the plant are cooked and one drinks it. Translated into English it means – Dragon's Blood. The leaves of the Sangre de Drago are shaped like a heart. This tree gets it's name from the red liquid which wells from the tree when you cut into the bark. The sangre de drago can be used both externally and internally. When applied on wounds it improves the healing process and also prevents infections. 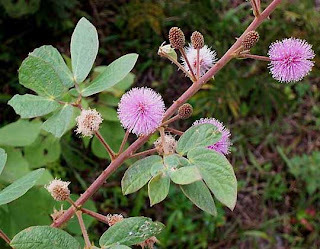 The Quichua use sangre de drago for toothaches, rashes, herpes and also mosquito bites. For these the fresh liquid is applied directly to the affected area. As sangre de drago is very sticky it is watered down for internal use. The large demand for sangre de drago gives the Quichua people additional income, they collect the liquid in large quantities and what they do not use for their own personal uses, they sell the rest. Also known as cat's claw or cat's nail. Cat's Claw is indigenous to the Amazon rainforest and other South and Central America tropical areas. The Una de Gato is a woody climbing plant and reached its name from the curved thorns at the bottom of the leaves. The trunk of the plant is cut into small pieces and the red wood is cooked in water, thus producing the medicine which is known to help with arthritis, allergies, general weakness, gonorrhoea, bladder/kidney diseases, stomach ulcers, diabetes, cancer, menstrual problems and asthma. The leaves are rarely used to make the tea. Guayusa has been used in Ecuador from ancient times to modern day and it increases physical and mental capacity, helps fight fatigue and restores youthful energy. The Quichua people drink their typical tea de guayusa every morning. The tea is made from the leaves of the guayusa. 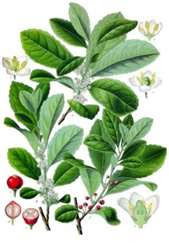 The leaves contain caffeine and gives a waking up effect in the morning and is similar to Yerba Mate. The Quichua are convinced that the daily use of the guayusa tea protects against snakebites. The Ecuadorians enjoy a warm alcoholic drink which is guayusaso which is made with the guayusa tea and sugar cane liquor and this sometimes contains fruit juice. The indigenous hunters drink guayusa to sharpen their instincts and to helpe them stay alert and awake all night. The Kichwa say that drinking guayusa promotes restful sleep and good dreams. The tea produced from the leaves of this plant is used as a medicine against fevers. It is also used for ritual cleansings, cleaning tea before bedtime and as a tranquillising. Taking a bath with the leaves helps against body pains and the leaves can be directly applied against swellings and muscle pains. Commonly known as Lemon Grass. Lemon grass is the herb that is always associated with Asian cooking – it has an aromatic citrus flavour with a trace of ginger. 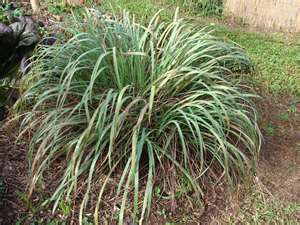 Lemon grass has antibacterial and antifungals properties mixed with pepper it is a home make therapy for menstrual problems and nausea. When drank as a tea it can be an effective diuretic. Lemon grass is also a good cleanser and helps the body detoxify the digestive tract, pancreas, kidney, liver and bladder. Lemon grass can also help improve the skin by acting as a muscle and tissue toner and reduces acne and pimples. Lemon grass can also reduce blood pressure. A lemon grass tea can be made by boiling some leaves in water and let it cool and drink the liquid. The garlic liana is used to alleviate fevers and colds after the bark has been cooked in water. 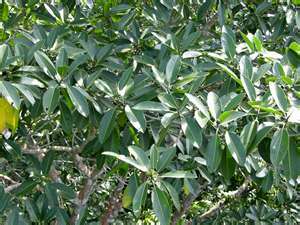 The bark of this plant smells very strongly of garlic.Making a steam bath of the leaves of the liana de ajo also aids with fevers and arthritis pains. The liana de ajo roots itself at ground level and then uses trees and other vegetation to climb to the canopy. Lemurs use the trees that the liana de ajo has wrapped itself around for nesting sites. Spider monkeys and sloths also use this plant to help them get from place to place, as the woody vines provide the mobility across the rain forest canopy. The roots of the herb cebolla del monte look like those of an onion and for this reason it's name in English translates to wild onion. The daffodil like bulb or onion is dug up and cut into small pieces and the Quichua people prepare a tea which helps against influenza. Both the liana de ajo and the cebolla del monte work against cold, fever and influenza but together they have a synergetic effect. This herb's blossoms are white with fruit that are a bright orange when ripe and they have black seeds. Well done, thank you for the information. Thanks for sharing the great herbal medicinal information. It's good to know that indigenous healing remedies are protected under current laws. It would be tragic for these important plants and people to suffer as have North American indigenous. Is anyone commercially growing endangered medicinal herbs in Ecuador? Hello I am a student of herbs and herbal remedies here in the states. I have the opportunity to be in Ecuador for a time, beginning January 12 and am interested in making connections with others who know where to find locally harvested herbs and people who use them. Please email me with anything you can offer, it is much appreciated.